Auckland City Physiotherapy is a professional physiotherapy clinic for the rehabilitation of a wide variety of injuries. Conveniently located in two locations in the heart of Auckland CBD, we have a team of highly qualified and experienced physiotherapists, as well as a network of doctors, surgeons and consultants to help you overcome any injury. With a wide range of services tailored to your needs, you can rely on us for a speedy recovery. If you've suffered from a sports, spinal or workplace injury, our physio services will have you pain free and back to your normal routine in the shortest time possible. At Auckland City Physiotherapy, our experienced physiotherapists use the latest treatment research to offer you the best physio services available. We create personalised treatment plans to suit your needs and help get you back doing what you enjoy. 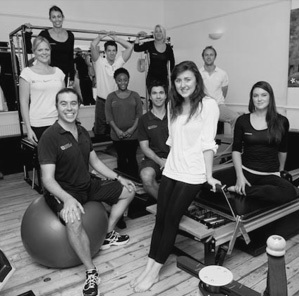 At Auckland City Physiotherapy, our aim is to provide the best possible treatment and service to all our patients. Our professional team offers world-class care in modern and spacious treatment rooms. Our patients regularly recommend us to friends, family and colleagues as a result of their positive experiences. Discuss your needs with us today!